This is the cool shaped shoulder patch that was worn by a member of the forces that retook the American possession of Guam. Guam was the 1st to fall the the Japanese on December 9, 1941. That is why retaking the island was so important to the US. 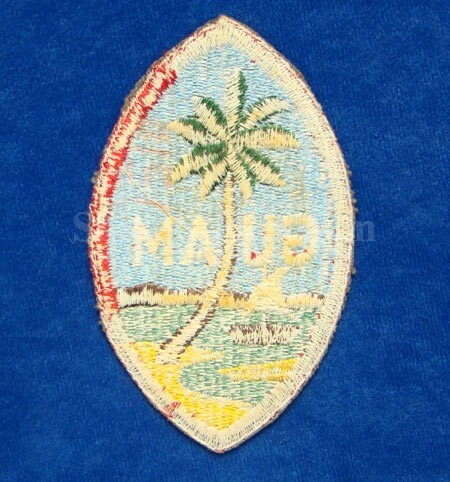 The territory was taken on June 4 19th 1944 by the US and this patch would've been worn from August 1944 until August 4, 1946 and the book states that they were "Approved for local wear only". 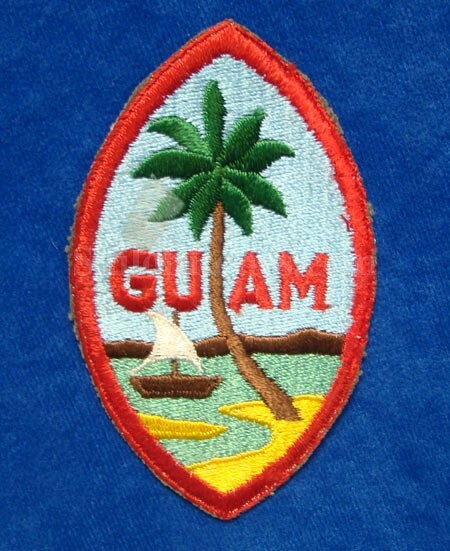 This is the patch that is made depicting the seal of Guam. This one would date from the ww2 era because of the material it is made from and the construction. This one as you can see was worn but displays well. it is a "no glow" under the black lite test, which means the material is correct for the WW2 and WW2 occupation forces era (1940-1950). It has a great look all over.